We try to find things that the three of us can do together. Gardens and shopping are favorite outings. This one was in Hendersonville, NC. The gardens outside of town specialize in dahlias. Mother grew some dahlias herself last summer until the voles got ahold of them so she particularly enjoyed seeing the ones there. They also gave her tips to avoid having her dahlias munched on by garden invaders. She is supposed to plant her dahlias in black nursery pots that have holes in the bottom and put the entire thing in the ground. The roots will grow out through the holes but the voles can't get to the main part of the plant that way. 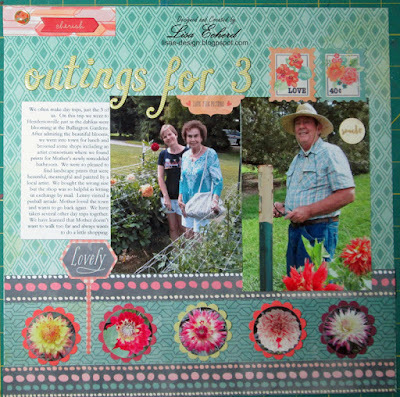 For this layout, I used a circle punch to punch photos of flowers into embellishments. I often take photos of the flowers and plants in gardens we visit. 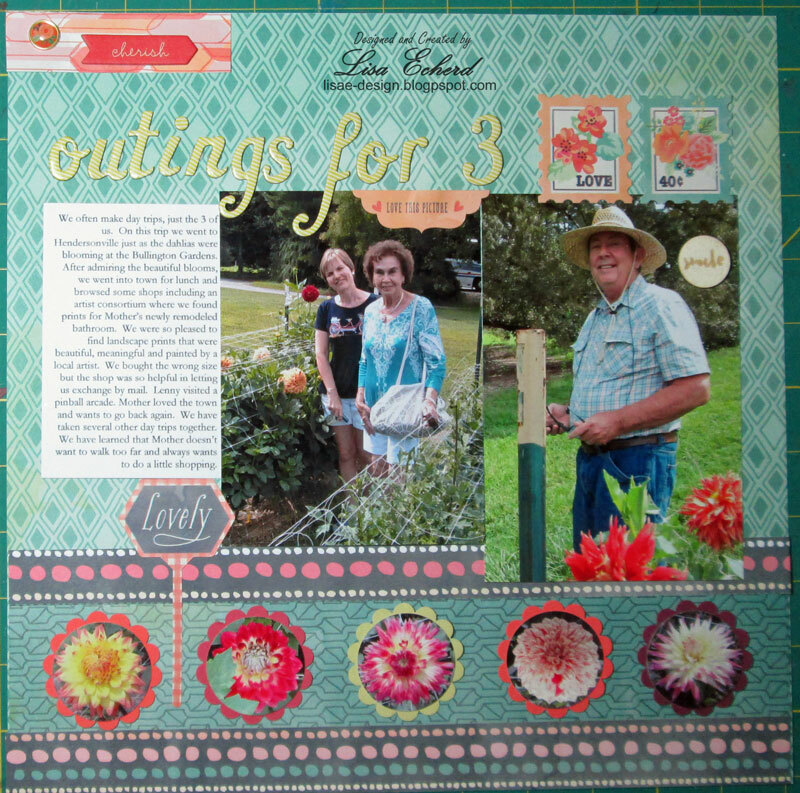 This is a way to incorporate them on the page without taking up too much space.